Rockstart is looking for more startups from Latin America to invest in through its successful Web & Mobile Accelerator program. Applications for 2015 close December 10. 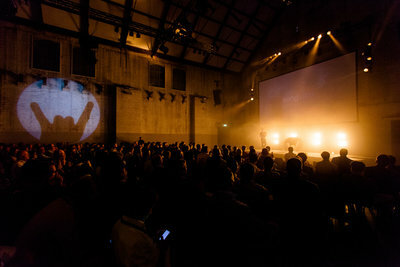 Rockstart is scouting promising web and mobile startups from Latin America with disruptive and scalable international businesses to invest in through its Web & Mobile Accelerator Program. The company recently announced that nearly 20 million dollars have been raised by startups that have participated in the program so far, making Rockstart Accelerator one of the most successful startup accelerators in Europe. Every year 10 startups from all over the world are selected for the international web & mobile program, which helps starts grow faster and get ready for international business. So far Rockstart Accelerator has invested in 5 startups from Latin America: Technorides and Postcron (Argentina), iClinic (Brazil), GiveO2 (Chile) and Bomberbot (Colombia), and is looking for promising startups from the region again to invest in through the next program. Applications close December 10. Rockstart is looking for promising startups from Latin America to invest in through the 4th edition of its successful web & mobile accelerator program, which kicks off at the end of February 2015. 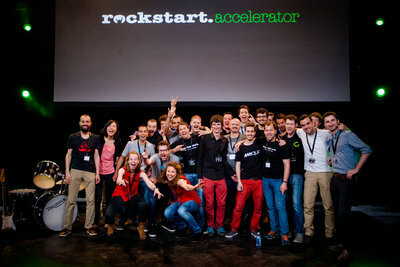 The company recently announced that nearly 20 million dollars have been raised by startups that have participated in the program so far, making Rockstart Accelerator one of the most successful startup accelerators in Europe. Every year 10 startups from all over the world are selected for the international program, which helps startups grow faster and get ready for global scaling. So far Rockstart Accelerator has invested in 5 startups from Latin America: Technorides and Postcron (Argentina), iClinic (Brazil), GiveO2 (Chile) and Bomberbot (Colombia), and is looking for promising startups from the region again to invest in through the next program (starting February 2015). Applications close December 10. Having successfully accelerated 5 Latin American startups through its accelerator programs before, Rockstart aims to make another significant contribution to the Latin American startup scene by looking for promising startups from the region to invest in through its web & mobile accelerator program 2015. Latin America is an important region to keep an eye on when it comes to startups - over the past year an impressive number of seed investments was made in the region (about 20% more compared to last year) and an increasing number of big tech companies are opening office in the region now. “Fast-growing economies, high technology penetration and very talented people coming from the region have lead us to regard Latin America as one of the best places to look for high-quality startups right now” says Don Ritzen, Managing Director at Rockstart. The program is especially relevant for Latin American startups with the ambition to compete in global markets and grow internationally. 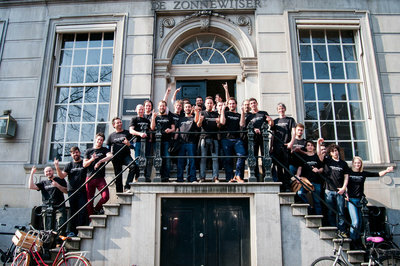 “Technorides has profited greatly from Rockstart Accelerator and was able to expand to new markets through the program. Currently we are leading the Latin American market with most clients distributed between Mexico, Colombia and Peru. We are now taking our model, which helps taxi companies grow and evolve, to the US as well", says Pablo Barni, co-founder of Technorides. Technorides provides taxi companies with a white label version of Uber, including dispatch software and new innovative add-on services. Exceeding expectations, it is generating double digit revenue growth every month, with over 40 clients today. The company is on track for 10x growth next year and is currently closing its seed investment round of $1.2M in San Francisco. Cristian Bello, the co-founder of Colombian startup Bomberbot, adds: “The program was excellent- with the help of our mentors we were able to validate some of our key business assumptions and expand our business within in Europe.” The company, that is building a game that encourages children to code, grew from 100 users to more than 5000 during the program and is now doing business in different countries in Europe. Felipe Lourenço, founder of iClinic, adds: "Rockstart Accelerator made a turning point for our company. It was an amazing opportunity spend some time outside the Latin American market and see what European and American companies were doing, and make them our source of inspiration and benchmark. The program in Europe in combination with the trip to Silicon Valley, as well as Rockstart's experienced mentors, have made this possible." iClinic, the lead EMR (electronic medical record) app in Brazil, just launched a new website. 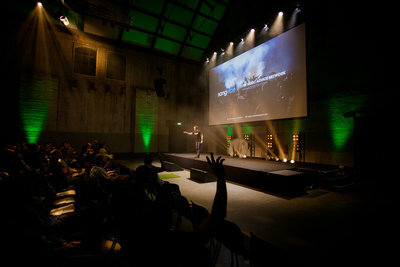 Rockstart is looking forward to helping more startups like Bomberbot, Technorides and iClinic grow faster in the future. The final 10 startups that will be selected to join the 2015 program will receive seed funding, mentorship from 100+ experienced entrepreneurs, office space in central Amsterdam for 6 months and a service package worth over $250,000. At the end of the program the startups get an opportunity pitch their businesses to over 300 investors at Demo Day. This year Rockstart is also introducing the alumni program, which is designed to make sure the startups that have participated in Rockstart Accelerator continue to receive great support in achieving their international ambitions after the regular program as well. Some of the highlights of the alumni program include international trips to startup hubs like New York and San Francisco. 72% of the startups that have participated in the program have raised follow-on funding from investors such as Balderton Capital, Notion Capital and XAnge Private Equity so far. If you are or know a Latin American startup looking for an opportunity to acquire seed funding and expand internationally, apply for the next Rockstart Accelerator program before December 10.